AFA takes data protection very seriously. All data embedded devices, like hard drives, are first dated and logged into our secure asset disposition database by recording it’s brand make, serial number and capacity. Next, the hard drives are rendered inoperable through dismantling, removing the printed circuit board and the aluminum housing, to expose the “data platters”. These “data platters” are then shredded to a pulp with no exceptions! We then provide you with a copy for your records. 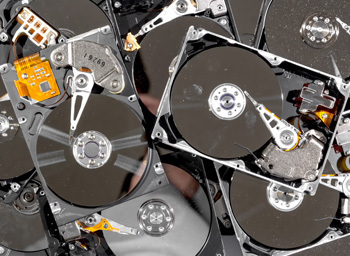 We also offer on-site hard drive removal service.